Weighs Less Than 4lbs; Less Than 1" Thick.\nWhether you're on the road, at the café, or on the way to class, at just 1.8kg (3.9 lbs) and 21mm (0.8") thick, the S410 won't weigh you down.\n\nUp to 5 Hours Battery Life\nStop worrying about your battery: With the IdeaPad S410, you can enjoy **up to 5 hours of productive use between charges. Lenovo Energy Management protects the long-term durability of the battery and uses advanced energy-saving technology to increase time spent between charges.\n\nColorful Design\nThe S410 boasts a tactile exterior and comes in a range of colors – it looks as good as it performs.\n\nOptional Discrete Graphics\nFor optimal graphics performance, choose an S410 with discrete graphics from AMD. AMD Radeon™ graphics deliver dazzling visuals for gaming and multimedia.\n\nStereo Speakers With Dolby® Advanced Audio™ v2\nThe S410's speakers provide rich stereo sound, while Dolby® Advanced Audio™ v2 enhances audio clarity and delivers a vibrant surround sound experience.\n\nAccuType Keyboard\nThe acclaimed AccuType keyboard is ergonomically designed to make typing more comfortable and to reduce errors.\n\n14-Inch HD Display\nThe 14" LED backlit HD display delivers bright, crisp visuals in 16:9 widescreen.\n\nLenovo Cloud Storage\nShare media on any device from any location with Lenovo Cloud Storage. In addition to its wide-ranging device support, Lenovo Cloud lets you push content to mobile devices and supports viewing files via and internet browser.\n\nMultitouch Touchpad\nOptimized for Windows 8, the intuitive, easy-to-use touchpad features simple scroll, zoom, and rotate functions.\n\nWireless Display\nEnjoy content from your S410 on a big screen wirelessly with Intel® Wireless Display (WiDi) technology.\n\nSimple Maintenance\nWith OneKey® Rescue System, recovering from viruses or other technical difficulties is a snap. The Lenovo S310 also makes it easy to back up your system and scan for and kill viruses.\n\nWiFi, Bluetooth\nWith 802.11 b/g/n WiFi connectivity and optional Bluetooth® 4.0, you'll be able to connect wherever you go.\n\nFast Data Transfer\nMove data between the U410 and other devices quickly with USB 3.0 – it's up to 10 times faster than previous USB technologies.\n\nIntegrated Webcam\nThe U410's integrated 720p HD webcam will help you enjoy web conferences or online video chats like you're really there. 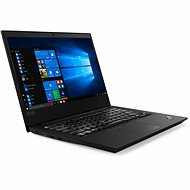 For shipping to other EU countries visit this page Lenovo IdeaPad S410. Chcete doručit zboží do Česka? 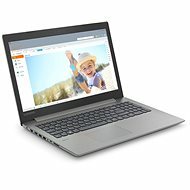 Prohlédněte si Lenovo IdeaPad S410. 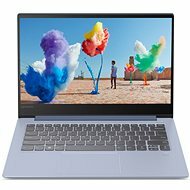 For shipping to the United Kingdom visit this page Lenovo IdeaPad S410.